An awkward tackle left Georgetown linebacker Ty Williams paralyzed in 2015. 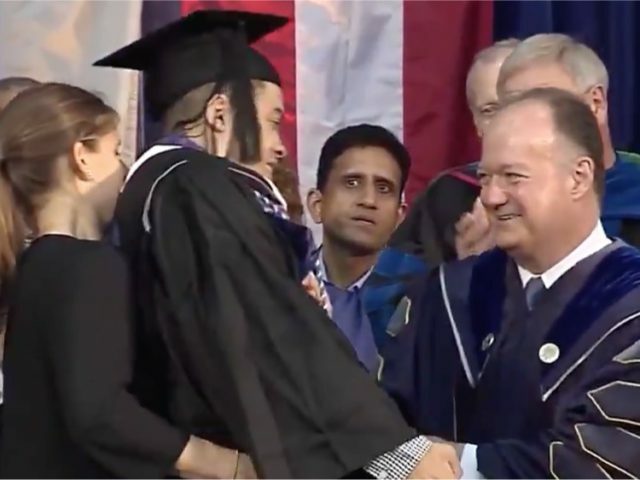 Williams vowed to walk again to receive his diploma, and he did just that Saturday with the help of a brace, walker and a spotter. The crowd applauded Williams as he walked towards university president Jack DeGioia to pick up his degree in government. 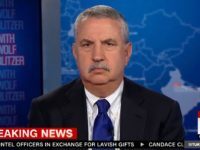 ESPN’s Trey Wingo, whose son played with Williams at Georgetown, said there was not a dry eye in the arena, adding that only fellow football players were aware Williams planned to walk.